‘Fly me Away‘…this beautiful tropical parrot ladies wallet is from the new Havana collection from Disaster Designs. 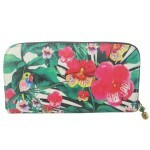 A gorgeous wallet featuring tropical flowers and a parrot printed on canvas. 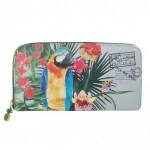 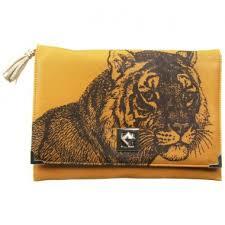 The Havana parrot wallet interior features vintage style map printed pvc and cotton contrasting lining. 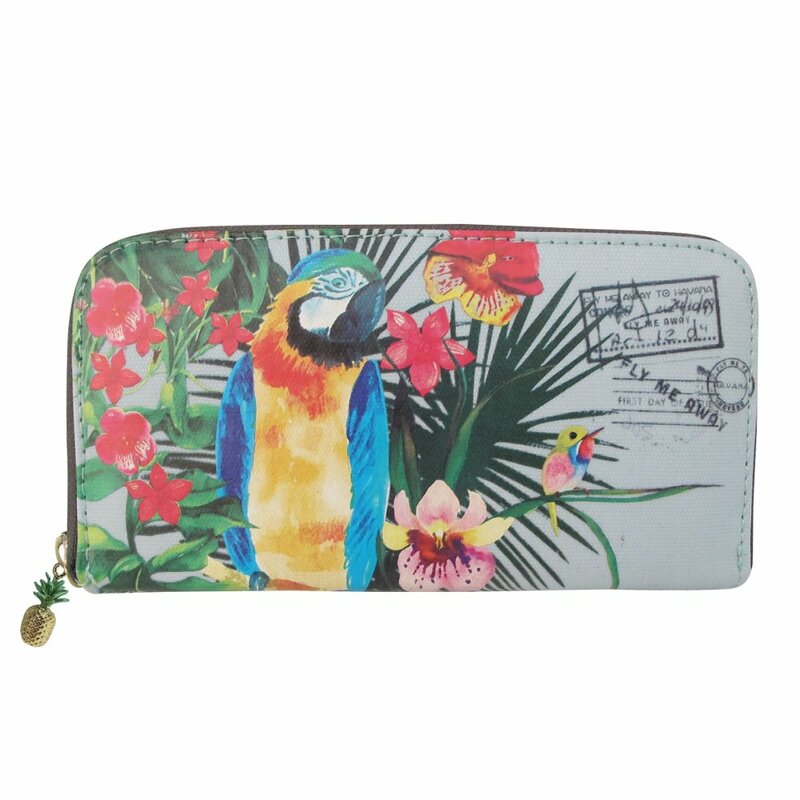 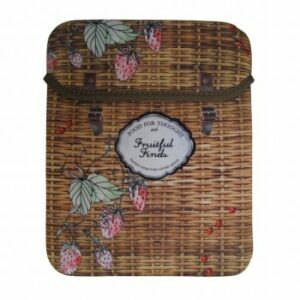 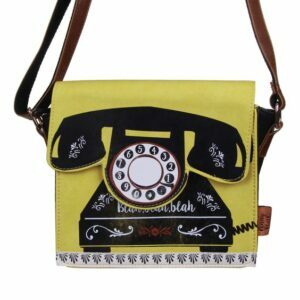 This wallet features zipped closure, card compartments, internal pocket with zip fastening and the most delightful gold metal pineapple zip pull. 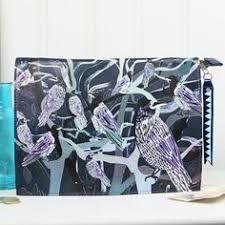 Dimensions: (w) 19 cm x (h) 10 x (d) 1.5cm.